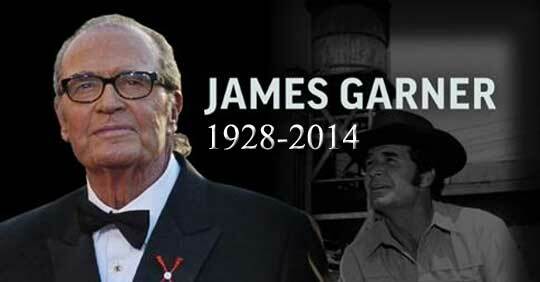 James Garner had a long and distinguished acting career, including several major roles in movies in the 1980s. James Garner remained a prolific actor throughout his life. To audiences today he is probably best remembered as “Duke” in “The Notebook” or the grandpa in “8 Simples Rules to Date My Teenaged daughter”, but back in the 1980s, he excelled in a number of theatrical and TV movies, garnering (all pun intended) an Oscar nomination and seven primetime Emmy award nominations. The 1980s showed that not only was there life after “The Rockford Files”, but that James Garner was a talented, versatile actor, who may have been most comfortable in movies. When “The Rockford Files” went off the air at the outset of 1980, Garner still had a contract to fulfill. Not before he was nominated one last time for an Emmy for outstanding lead actor in a drama series for the role of Jim Rockford. He left Rockford behind and returned to the past, reprising the role of Bret Maverick in a show of the same name for the 1981-1982 season. It had reasonably good ratings, but was cancelled after one season. When Emmy nominations were announced, James Garner was on the list for outstanding lead actor in a drama series again, this time for his work in “Bret Maverick”. “Bret Maverick” was not shown on peasant vision. Instead, I enviously read about it each week in TV Guide. Eventually, the pilot aired on Channel 13, wetting my appetite for a series that had already been cancelled. Reruns were also aired in the summer of 1990, a full eight years after cancellation, to fill the hole left by a writers’ strike. When the smoke cleared, James Garner was done with series TV, finding a home, and a lot of success in TV and theatrical movies. It was the middle of the decade when Garner struck it rich as Murphy Jones in “Murphy’s Romance”, starring opposite Sally Field. The role would earn him an Oscar nomination in 1985, losing out to William Hurt for his role in “Kiss of the Spider Woman”. Garner would also have roles in Robert Altman’s satire “Health” in 1980; play opposite Julie Andrews in “Victor/Victoria” in 1982; and become a bit of a vigilante in “Tank” in 1984 after his grandson is wrongly accused. In 1988, he played an aging Wyatt Earp opposite Bruce Willis who played legendary western actor Tom Mix in the comedy-western “Sunset”, directed by Blake Edwards. They team up to solve a murder in Hollywood in 1929. I vividly recall going to see “Sunset” with my best friend Chris Vining. I picked him up in Coaldale, but he was running late, so we got to the brand new Cineplex-Odeon theatre in Lethbridge a few minutes after the movie had started. I remember not quite getting the gist of the story. Was James Garner really playing Wyatt Earp, or was it a part in a movie within the movie? And was Bruce Willis, still the guy from “Moonlighting” back then, playing Tom Mix? Was it based on a true story? Neither of us knew in advance what it was really about, but we either had seen pretty much everything else, or found nothing else that interesting. It turned out to be an okay show, partly because James Garner was always worth watching. James Garner always excelled on television. By the 1980s, he had firmly entrenched himself playing opposite Mariette Hartley in a series of Polaroid camera commercials. They had so much on-screen chemistry, many viewers thought they were an actual, real-life couple. He also found a life acting in television movies. The first was “The Long Summer of George Adams” in 1982. I never saw this movie, but I recall seeing the commercials on Channel 13. My sister saw it, and really enjoyed it. Garner played a man working for the railroad in the 1950s whose job may become obsolete. Next came “Heartsounds” in 1984, another move I never saw and have regretted not seeing. The movie is produced by Norman Lear, who made his name with such shows as “All in the Family”. This time around, he gets serious, telling the story of his cousin Harold Lear, a renowned surgeon who becomes a patient himself, facing his own mortality and an unfeeling medical system. Garner played Harold Lear, earning an Emmy nomination for outstanding lead actor in a limited series or special. Mary Tyler Moore played opposite Garner as Lear’s wife Martha. The movie was shot largely in Toronto as Hollywood began coming north to take advantage of the low Canadian dollar. he space program in the 1985 miniseries "Space". 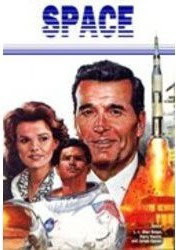 The next time I saw James Garner was in an epic TV mini-series called “Space” in 1985, based on the novel of the same name by James Michener. It details the history of the development of the space program in the United States, from the end of the Second World War right through to the moon landing. It had a star-studded cast of TV actors that included Beau Bridges, Harry Hamlin, Blair Brown, Michael York, David Dukes, and so many others. Garner played a senator who was a tireless supporter of the space program. “Promise” followed in 1986, in which Garner plays a man who returns home after the death of his mother to take care of his mentally-ill brother, played by James Woods. “Promise” would be one of the most decorated movies in TV history, winning five primetime Emmy awards, including one for outstanding drama/comedy special. Garner was also nominated for outstanding lead actor in a miniseries or special. Garner was back three years later, to close out the decade, with “My Name is Bill W.”, which tells the story of the two men who co-founded Alcoholics Anonymous. Garner again starred opposite James Woods. “My Name is Bill W.” was nominated for Emmy awards for outstanding drama/comedy special and Garner was nominated for outstanding supporting actor in a miniseries or special. Woods won an Emmy for outstanding lead actor in a miniseries or movie. As a side note, Garner made another movie in 1990, called “Decoration Day”, one of those “Hallmark Hall of Fame” movies. I recall that vividly, because I had to reserve the TV in res on a Sunday night to watch that movie, enduring all the snips and snipes of people not interested in the movie, but taking up space in our lounge. Garner played a retired judge trying to find out why a man refuses to accept a medal of honour awarded decades earlier in the Second World War. Again, Garner was nominated for an Emmy for outstanding lead actor in a miniseries or special. James Garner would continue to act into the 1990s and well into the 21st Century. I had the opportunity awhile back to read his autobiography, “The Garner Files”, and it was incredibly enlightening. It gave details on so any aspects of his life, from his upbringing in Oklahoma, and the reason he had to change his name from Bumgarner to Garner, to why he actually left “The Rockford Files”, and his relationship with Mariette Hartley. What I will always remember about James Garner is his versatility as an actor, and the fact he was just so likeable. That and his ability to say so much without saying word. He was a master of the facial expression, shrug, and dramatic pause. Jim Rockford may have been one of my favourite characters of all time, but James Garner proved, in the decade after Rockford’s departure from primetime TV, that he was not to be defined by the private detective who lived in a trailer on the beach. There indeed was life after Rockford.